Frank is an engineer, producer, musician and the owner of Audio Paint. He is very involved creatively with his clients. Whether engineering, producing or composing original music he brings more than 25 years experience to every session. His work can be heard on radio, television, commercials, feature films and more. "Charlie" is a gifted engineer who has worked with many notable names in the music industry (in fact, too many to mention!). During the past two years he has been touring the world as the FOH engineer for Steeley Dan. Easy-going, smart, creative and accomplished. His instincts and decisions are rooted in his solid, recording experiences. 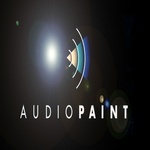 Wendy has been with Audio Paint since 2000. She oversees our music licensing and song plugging department for our original music catalog. Wendy has been successful finding a home for our music with singers, bands, television shows, webcasts and movies.